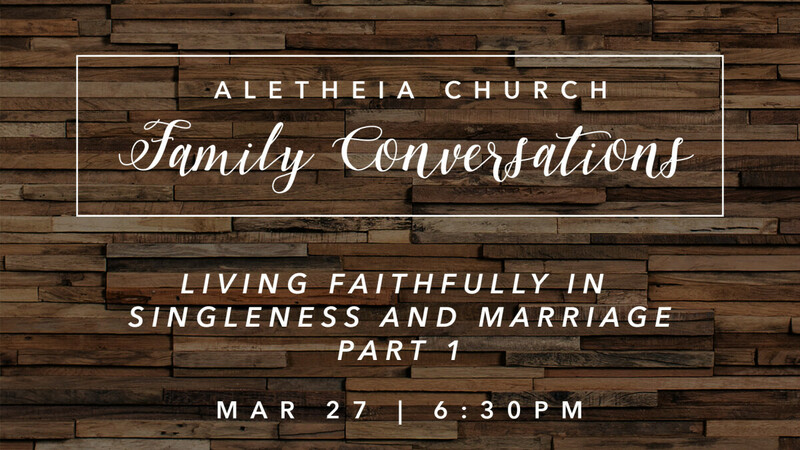 Join us on Wednesday, April 24th, 6:30pm in the theater for this month's Family Conversation, the second of a two part series on singleness and marriage. This month we will be focusing more on marriage, and what it looks like from a kingdom perspective regardless of where you find yourself, and we encourage both married and single people to attend. Marriage can be a blessing, but it can also be difficult; join us as we discuss what cultivating godly marriages looks like in community. Q&A and a panel will follow a short talk.